between 5’08”-5’11” tall and weighing 180-230lbs. The offender has brown hair and eyes. surveillance system and hold up alarm. 300 Block of E. Garfield Blvd. on November 27, 2016 at 6:40 pm. 5600 Block of S. Martin Luther King Jr. Drive on November 27, 2016 at 6:50 pm. offender was described as having dreadlocks. 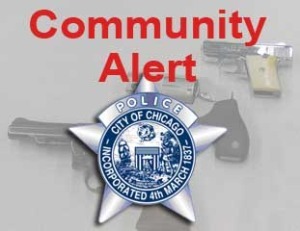 This alert gives notice to the residents in the 008th District (Chicago Lawn) of robbery incidents which have occurred during the month of November. This alert gives notice of two recent Burglaries that have occurred at restaurants in the 011th District. The offender(s) broke the glass of the front door of both restaurants and then entered and took money out of the cash register. On November 21, 2016, at approximately 6:00 p.m., two juvenile females, ages 10 and 14 were playing outside in the 4000 block of W. Wabansia when an unknown driver of a green or blue vehicle pulled along the curb and motioned with his hands for the girls to come closer. When the girls approached the vehicle, the offender told them to get in so he could take them to the store. Male Hispanic, 20, sustained two GSW’s to the abdomen. Victim taken to Mt. Sinai in seriious condition. Victim was standing on the sidewalk when an unk male Hispanic emerged from an gangway and fired shots striking him. No one in custody. Ongoing Area Central investigation. This alert gives notice of Robberies that have occurred in the 011th District during the month of November. 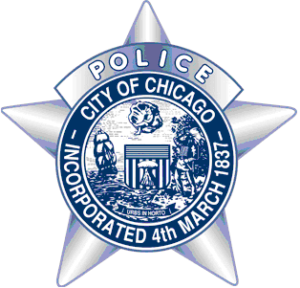 During these incidents, the offender took a purse from the victim at a CTA bus stop. In the last incident, the offender displayed a knife before taking the victim’s purse. This alert gives notice of Armed Robberies that have occurred within the boundaries of the 016th District (Jefferson Park). During two of the robberies the offender approaches the victims on the street, strikes the victim in the head and takes the victim’s purse. In one case, the offender displayed a handgun, struck the victim in the head and took the victim’s purse.